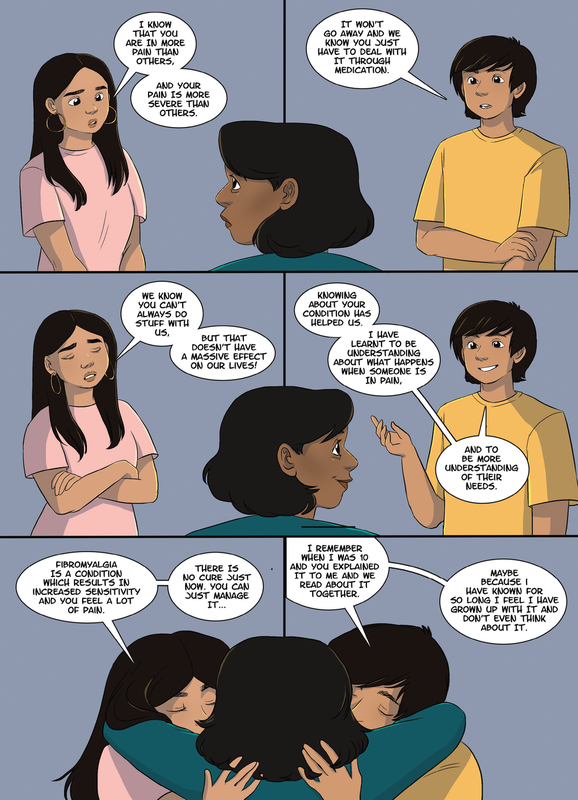 "Fibromyalgia And Us" is an anthology comic that aims to raise awareness about Fibromyalgia to both the general public and health care professionals. The full comic is available to read for free over here! The front cover was drawn by myself and coloured by Rebecca Horner. The comic I worked on is called "Living And Working With Fibromyalgia", written by Divya Jindal-Snape, Jonathan Snape, Nik Snape and Anj Snape. The artwork was done by myself and the lettering was done by Norrie Millar. Below is my contribution to the anthology!